As Church President of the Lutheran Church in Korea, President of the Board of Directors of Luther University in Yongin, South Korea, and alumnus of Concordia Seminary, St. Louis, I express my deepest condolences over the passing of Dr. Won-Yong Ji. I remember his life-long dedication and contributions to the worldwide church, focusing on Korea, Europe, and the United States, and give thanks and praise to God, who works through such extraordinary men like Dr. Ji. Dr. Ji was a man with a spirit of development. In 1948, only three years after Korea gained independence from Japan, Dr. Ji left his homeland to study in the United States. And in a very unusual way for an ordinary man, after his graduation from university, he matriculated at the Graduate School of Theology at Concordia Seminary, St. Louis. As such, he was the first Korean to become a Lutheran, to study Lutheran theology, to receive a doctorate in theology, and to become a Lutheran pastor. After the armistice of the Korean War in 1953, Dr. Ji, speaking at the LCMS national convention, emphasized that the Lutheran church should start a mission in South Korea. Five years later, in 1958, the first three LCMS missionaries were commissioned to Korea, and also Dr. Ji returned to his home country. Together with the three LCMS missionaries, Dr. Ji started ministry on South Korean soil, taking a leading role in it. As they formulated mission policy, he included a unique insight. At that time, Reformed churches already had existed in Korea for some 75 years, so if the Lutheran Church did something perceived as incorrect, it was in danger of being regarded as a sect. Therefore, the mission policy included the following words: “We do not compete with other denominations. We do not steel sheep from other denominations. We help other denominations. We spread the Gospel.” In a time when mission through mass media was unknown, the Lutheran mission was the first in Korea to begin broadcasting with radio programs through “The Lutheran Hour” and a Christian magazine called New Life. To spread the Gospel, Dr. Ji founded the first Lutheran congregation, Emanuel Church, in 1959 and was installed as its senior pastor. Dr. Won-Yong Ji was a theologian. Decades ago, when theological doctors were still very scarce in South Korea, he held lectures at several theological seminaries, making known Lutheran theology. In 1966 he founded Lutheran Theological Academy for the education of Lutheran pastors. Becoming the first director, he threw his energy into the education of young students. He wrote 12 volumes on Luther’s and Lutheran theology, translated the Book of Concord, which contains the Lutheran confessions, and Walther’s Law and Gospel into Korean, and taught not only to Lutherans but also to students from other denominations, thus contributing greatly to the theological world in South Korea. A special contribution was the edition of Luther’s Works in Korean. He selected important writings of Luther, translated them into Korean and edited them in 12 volumes. As general editor, he introduced a brand new theology to South Korea, namely taking responsibility for the task of explaining the Lutheran discernment between law and gospel to local churches, which mainly adhere to Reformed theology. He also played an important role in the foundation of the Luther Study Institute within Luther University, which was the first institute of that kind in Korea. As its first director, he collected books and articles containing international research on Lutheran theology and supplied them to Korean scholars. Every year, he organized a Luther Lecture to which he invited world renown Luther scholars as speakers for this public lecture in October, the month of the Reformation. Discussion and exchange of opinions with Korean scholars was facilitated, thus greatly contributing to the promotion of and interest in Luther studies. He also wrote an article about Christianity in Korea in the German theological encyclopedia Theologische Realenzyklopaedie (TRE XIX). In 1964, he received the Publication Culture Literary Prize by the Korean Christian Literature Society, and in 1990, he was honored with the Award for Outstanding Translation by the Korea Christian Publication Association. The International Biographical Centre, located in Cambridge, England, has included him in the list of Men of Achievement. In 1972, the South Korean Government honored him with the Order of Civil Merit (Pomegranate Order). Dr. Won-Yong Ji was a mediator between the thoughts of the East and the West. As an S.T.M. and later Th.D. student at Concordia Seminary, St. Louis, I studied for a total of five full years between the years of 1984 and 2001. During this time, I shared time on campus with Dr. Ji who taught at the seminary for more than 30 years, starting in 1978. At the seminary, Dr. Ji taught systematic theology and missiology. Though never having an opportunity to listen to Dr. Ji’s lectures in Korea, I was able to enroll in Dr. Ji’s missiology course while studying in St. Louis. The lecture reflected Dr. Ji’s rich experiences from his time as Asia Director of the Lutheran World Federation, when he had visited many mission outposts and met many church leaders. He taught missiology out of an experience that many of his American colleagues at the time did not know. He was an effective mediator between the reality of the overseas mission world and the American students of theology. 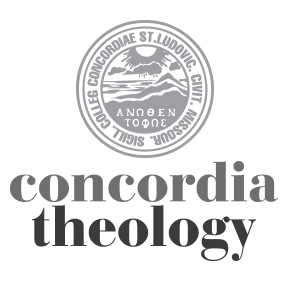 Creating an exchange program between students of Concordia Seminary, St. Louis, and students of the Graduate School of Theology of Luther University in Korea, he helped many learn about other cultures. He also was very engaged in introducing American students to the thoughts of the East in the field of systematic theology. He explained the oriental thoughts rooted in old philosophy and religions, and whenever students wrote a thesis related to the East, he always would be fittingly involved as advisor or co-advisor as an Asian professor. He contributed to academic life by introducing and discussing the topic of Minjung theology that for some time received keen interest in Korea, as well as explaining and evaluating third world theologies. As a student, I was moved by the interest Dr. Ji had in students. As older students came as pastoral candidates to Concordia Seminary, St. Louis, Dr. Ji showed his concern for their situation and expressed genuine interest and care for them. Students from abroad also felt his kindness and support. He would always say to me, “You must give those foreign students an excellent education and care for them, because they will study here and then return to their home countries and become leaders of their churches and countries.” The LCMS has educated many students from partner churches—including Korea—and then sent them home to later serve God by becoming leaders of theological seminaries and churches. While visiting various countries and participating in international conferences, I have clearly seen how Dr. Ji’s words have turned out to be very true. Dr. Ji’s Korean pseudonym is Pyeon Un (편운/片雲) which means “piece of cloud.” He lived in Korea, the country of his birth, for 34 years, in Europe for 14 years and in the United States for 40 years. Like a true “piece of cloud,” he lived as a pilgrim in this world for 88 years and has now returned to his home to rest in God’s presence. We are saddened to have lost a great theologian and a great teacher. Only in giving God thanks for having blessed us by his grace with the full life and many accomplishments of our dear colleague, mentor, teacher, and friend can we overcome our sadness. To remember Dr. Ji’s contributions to the Lutheran Church in Korea and Luther University, we plan to celebrate a commemorative worship service at a time to be announced and dedicate Luther University’s library under the name Pyeong Un Won-Yong Ji Library so that this and future generations may remember his achievements. May God give his comfort and peace to Mrs. Ji, his four children, his friends, students and the Lutherans in the world who have known him in sorrow. Editor’s note: Dr. Ji was born in 1924 in what is now North Korea, and entered into rest on December 31, 2012. I had the joy and honor of having Dr. Ji as one of my professors. I had him sign my copy of the book on the history of the Lutheran Church in Korea and will treasure that book even more now. Rest well, faithful warrior, in the sure and certain hope of the same resurrection joy you brought to so many others. I never took a class from Dr. Ji, but did have the privilege of joining him for lunch in the cafeteria a few times. He always showed interest in me as a student, then as a pastor and how the work of Christ was being experienced in the parish. Thank you Dr. Um for your kind words about a Concordia St. Louis Seminary professor.